You tried to make money and failed to earn a single penny. Think this is a rare case? No this scenario is fairly common among people like you and me. The reason a lot many people fails at earning a dime is not necessarily because earning money online is hard or it is a scammy business. In fact the very opposite is true. There are a lots of (500+) different ways to make money online. To be successful you just need to try in areas which you are passionate about or have some previous experience. Since 2012 I have been earning my money entirely online. Yes, making money online is very much real, for many people it is a reality, and I am not exaggerating when I say there are regular people earning 5+ figure a month salaries completely through their online endeavors. It’s motivation to pursue it further. I remember the first few dollars Vicky and I earned through her food blog by putting up a few ad-sense ads. It wasn’t much, but it was the start of us earning a few hundred dollars, then a few thousand, and later over ten thousand dollars every month. In this post we are going to explore the many ways that people are earning money online. I have scoured the web looking for the best posts about making money online as well as doing my own research to find individual websites/companies, so that I could compile what is no doubt the most comprehensive list to date of ways to make money online. Please enjoy this list and PLEASE SHARE so that others may benefit from this research. Not only have I spent many hours putting this together, but by using assistants to help with research and formatting, spent money. But it’s worth it to bring you what I consider to be valuable content! Additionally, some people have commented that they found this list overwhelming, so I have put together a Make Money Online Starter Pack. As this post is quite long I have created a table of contents so you can more quickly identify the relevant parts. Simply click on the topic and you will be taken there. I have not tried all of these websites. In fact I have not even tried the majority of them. That would be lunacy. I cannot defend each individual company. Many of them offer the same thing. What I can say is that they have been listed in reputable sources and that I have visited each website individually to verify that at the time of writing it was working and appeared legitimate method of making money online. You may not find everything to be an option for you. Some methods are selective in that they require you to have an established website with a certain amount of traffic, or to live in a certain part of the world. In some cases I may have used affiliate links. This means if you sign up I may receive a commission. This does not affect you in any way (neither negatively nor positively), but I would appreciate it if you consider using my affiliate links as a means of supporting this endeavor and the way that I earn my income online. The vast majority of these links (98%+) are not affiliate. Lastly, please do not expect to turn this list into a 5 figure a month income, at least right off the bat. Though it is true that many people are using the below websites to do just that, it is often the result of a lot of hard work and time spent building websites, an audience, etc. This is not a get rich quick scheme. It took me nearly a year before I was earning a few thousand dollars a month online, and I actually consider that rather quick. Before diving into anything I highly recommend that you do a quick search along the lines of “review of company X” to see the results of people who have tried these strategies in depth. Also check the sources at the end as they may provide more in depth reports on specific websites. Don’t confuse an attractive website with legitimacy. Moreover, be suspicious of any site that requires you to pay to join. In this section we highlight ways you can make money online from writing. In my experience, if there is one skill that trumps all others in effectively earning money online it is the ability to write. No other skill has the versatility that writing has. Good writers are sorely underrepresented. If you can write, you can make money online (with or without a blog) – guaranteed! The act of blogging in and of itself is often free, but that doesn’t mean that blogging can’t serve as a useful platform from which you can earn money online. Many people are earning over 5 figures a month “just blogging”, by combining it with things like affiliate sales, ad networks, and paid reviews. Go to the last chapter of this post to see all of the blogger income reports I have collected. There are thousands of blogs started everyday and most of them die off over the course of a few months/years. From personal experience I think it is best to start a blog with a purpose/passion – aside from making money. This will help you to be successful in the long run, as it is normal to spend many months blogging without earning anything. How To Start A Blog – a post I wrote that will get you up and blogging in a matter of minutes. Livejournal – A service for journals and blogs, that also offers privacy controls, photo storage, publishing tools, style templates, and online communities for many interests. Tumblr – Post anything (from anywhere! ), customize everything, and find and follow what you love. WordPress.com – Free blogs managed by the developers of the WordPress software. Includes custom design templates, integrated statistics, automatic spam protection . You domain will look like yourdomain.wordpress.com It’s different from Word Press.org. WordPress.org – A web software you can use to create a beautiful website or blog using fully customized wordpress themes, with your own domain name. There are thousands of hosts. I can say that they work, they are reliable/dependable, the sites go relatively fast and the support is relatively good. There may be better options out there, but these are certainly sufficient. WPXHosting: This is what we are currently using for the NinjaOutreach. HostGator: This is what I use for the majority of my websites. Their shared hosting plan is solid and they have decent support. SiteGround:This is what Vicky uses for AvocadoPesto, and I think the support is top notch. If you have a blog or a website with content and a following, I’m going to discuss a few ways you can monetize it through advertising and information products. Concerning the latter, you certainly don’t need a blog to pull it off. Anyone can sell an ebook, for example. But it is just so typical for bloggers to do these things, because they tend to be more successful when you have an audience, that I decided to include them in this section. Still, if you don’t have a blog, you just need to think of another way to reach your target audience (like a forum, or a simple landing page). If you have a blog there are many ways you can monetize the writing portion of it, such as reviews, sponsored posts, and more. This is actually how I started earning serious money online. 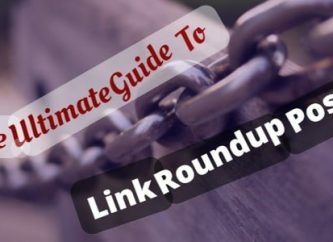 Often, companies will pay you to link to them on your blog because they want the increased exposure as well as the “link juice” that they get from an inbound link to their website. Be careful with this one because in some instances it can violate Google’s TOS, which, in the most extreme circumstances, can result in your website being removed from the search engines. Blogsvertise – Make money from advertising and generate ad income from your blog. BlogToProfit – Make $250 dollars or more by writing new posts on your blog. Digital Journal – A digital media news network with thousands of Digital Journalists in 200 countries around the world. Expo TV – Consumer generated video, social media and peer to peer recommendations enable influential consumers to share their authentic reviews and opinions. 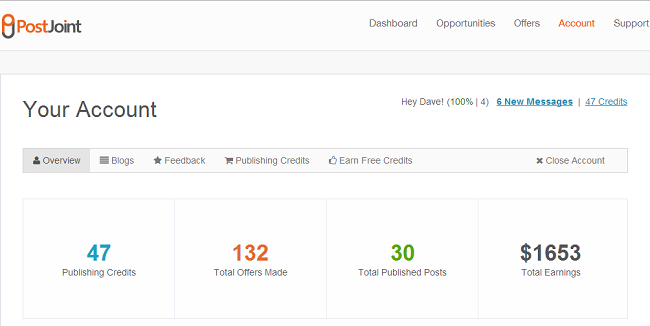 Pay Per Post– Get paid as much as $500 or more a month, writing articles and reviews of their sponsors on your blog. PostJoint – PostJoint enables content marketers and publishers to swiftly arrange deals on their own terms. Marketers can quickly distribute their content and publishers can easily grow and monetize their sites. Smorty – Smorty is a community site that helps bloggers generate a better income, and it could be defined as a network devoted to blog advertising. The site is split into two main sections. Earn $6 to $100 dollars per post you write on your blog, depending on the overall popularity and page rank of your blog. SponsoredReviews – A blog post service that connects advertisers with bloggers willing to write paid posts about their services and products. They charge a 35% transaction fee for their services. Teliad – SEO company for international backlinks & blogs. I have personally used Teliad and made nearly $1k doing so. They pay monthly. It seems that just about every popular blogger has their own ebook(s) these days. Part of the reason is that there are just so few barriers to entry – if you want to write a book and self publish, go ahead! It can be a “passive” income stream for life (though that should not be confused with the fact that it can be a lot of upfront work). bookbaby.com – Sell more eBooks with a professionally designed cover. The industry’s best place for valuable tips on how to promote and sell your book. flickrocket.com – Set up your ebook own shop. payhip.com – Upload e-books and sell directly on Twitter, Facebook or your website. Sell your ebooks to your fans and followers and get paid instantly via PayPal. Podcasting is all the rage lately and it is becoming the new, preferred form over content to connect with your audience. In addition, it can also be a lucrative form of income if you draw in enough of an audience. I ran my first online course last year and made over $2500 doing so. I also made a bunch of contacts from talented individuals who took the class. Again it requires a lot of upfront work but the ongoing work can be significantly less by comparison. There are many platforms that are built for you to specifically offer courses. Or you can simply create your own on your website through a series of emails. Although this has been around forever I’ve particularly started noticing it quite recently and I LOVE IT. At least as a business model. The idea is basically to create a community of like-minded individuals and give them access to each other as well as instruction to help them achieve their mutal goals. The math on these is quite astounding, as you generally see people charge between $20-$100/month. That means for each sign up they are getting a monthly recurring income of $20-$100. So, if you can get a few hundred sign ups leveraging your audience, well, do the math. Entrepreneur On Fire’s Podcasting Paradise – A community for podcasters from John Dumas. Most people have heard of adsense, which is Google’s advertising network. In reality, this is only one of over a hundred different ad networks. These ads work off a variety of models whereby your pay is relative to the exposure the ad gets. What is actually required (a view, a click, a sign up) varies. Ads come in a variety of forms, such as banners (of all different sizes), links, videos, and more. Pay per click marketing means that you get paid every time the ad gets clicked. It is one of the most common forms of ad networks because, unlike a view, the advertiser has greater confidence that the user has purposefully interacted with the ad in some way. Chitika – Develops real-time, scalable, on-demand contextual targeting services to help online businesses leverage their two biggest assets: content and online. Similar to AdSense. Clicksor – Clicksor offers webmasters the opportunity to earn additional income by using a selection of clickable text or targeted contextual banners on their websites or blogs. Payouts are made by PayPal with a minimum payout of $20. Feedburner – FeedBurner is a web feed management provider launched in 2004. You can implement AdSense earnings to your feeds also through Feedburner/Google. Google AdSense – Google AdSense provides a free, flexible way to earn money from your websites, mobile sites, and site search results with relevant and engaging ads. It is the leading advertising network to make money online and usually offers the highest rates to their publishers through PPC (pay per click), CPM (cost per impression). Payment is done by check or direct deposit with a minimum payout of $100. Infolinks – Infolinks leads the online advertising industry by driving new revenue opportunities for publishers while overcoming banner blindness for advertisers. Payment method PayPal, or check, minimum payouts are $50. Media.net – Bing Network Contextual Ads program enables web publishers to easily and effectively earn advertising revenue. Pay per view advertising is similar to pay per click, except you can replace click with view. Your pay is largely based on the traffic you bring to the ad. In general, ppv rates are lower than ppc because less is required of the user. For example, while 1000 people might see an ad, it is possible that only 5 (or less) will click it. 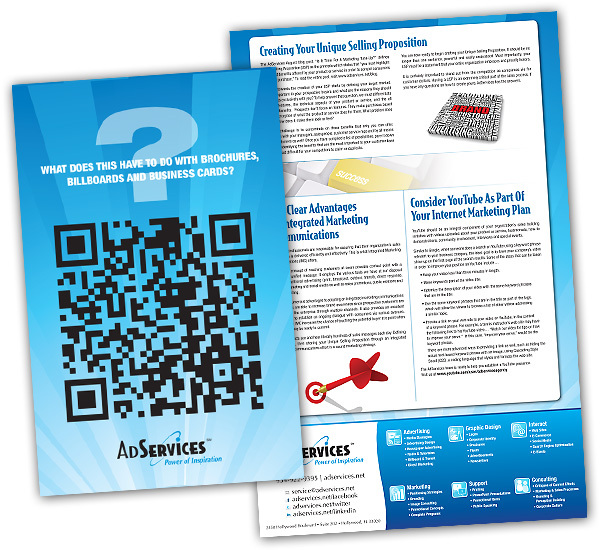 AdKnowledge – Adknowledge is a digital advertising marketplace that efficiently gets results for your message wherever your audience happens to be: desktop, laptop, tablet or. Adsella – Buy and sell ad space. Advertiise – The advertising marketplace for buying and selling online and offline media. Buy or Sell print, online, outdoor, ambient, event and many more advertising. Bidvertiser – Online advertising directly on sites of your choice, internet marketing solution for online advertisers. Webmasters make money online by displaying text ads on your site and advertisers bid for placement. BlogAds – Blogads is an online ad network that provides advertising services to both bloggers and advertisers. Average blogger makes anywhere from $50 to $5000 dollars a month selling blog ads. Blog Her – PPV advertising network that you can apply to if you have a blog. BuySellAds – BuySellAds.com is an online advertising network in which you can earn money by selling your ad space with your own rates. I have used this before to get monthly ads for our food blog AvocadoPesto.com. Direct CPV– Give your online marketing campaign the jolt it needs with DirectCPV’s pay per view advertising solution. DoubleClick – DoubleClick is the ad technology foundation to create, transact, and manage digital advertising for the world’s buyers, creators and sellers. IndustryBrains – Provides unique advertising and monetization services, for both advertisers and publishers by placing relevant contextual text listings and graphical ads on your site. Media Traffic – PPV Contextual Advertising . Qumana – Desktop blog publishing tool. Embeds ads directly into your posts. Traffic Vance– Contextual Textlink and Display Advertising Platform that delivers high quality traffic to advertisers through high performing ad units, granular targeting, competitive pricing, and multiple optimization capabilities. Tribal Fusion: Plan and execute campaigns based on your online audiences. Approval requires minimum 2000 unique visitors/day and targeted designs are needed to qualify. ValueClick media -Displaying ads through banners, pop-unders and rich media. Vibrant Media – In-text contextual based advertisements. Yes Advertising – Run ads from their sponsors as well as a referral program that pays 20% of the referred webmasters earnings. Again, debatable as to whether or not this belongs in blogging but it is bloggers from whom I am seeing these services and therefore included it in this section. I have also started to see this now more than ever, and it is individuals renting out their private blog networks for links. Some SEOs are saying that one of the best ways to achieve rankings in the SERPS is through private blog networks, as they are very powerful and direct. Authority Website Income – Private Blog Network service by Jon. CloudIncome’s Rank Source – Private Blog Network run by Lewis Ogden. God of SEO’s PBN – Private Blog Network run by Charles Floate. If you don’t have a blog of your own, there are plenty of other platforms that you can write for. Many websites operate as large, content networks that allow people to write for them. In exchange, they will put ads in your writing and give you a revenue share of what your articles make. The benefit here is that they receive a lot of traffic, so receiving 75% commission on the ad revenue that these sites produce might be better than 100% on your own blog if it doesn’t receive much traffic. The downside is that you are building up another person’s website instead of building something for yourself. About.com – A valuable resource for content that helps people to solve the large and small needs of everyday life. 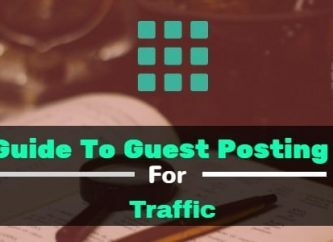 Become a paid guide writing articles for About.com. Best Reviewer – A collection of reviews in the style of TOP X. 100% AdSense revenue share. Bukisa – Share your knowledge via how to guides, tips & instructions. 60% revenue share via Adsense or Chitika. Cracked: A funny website filled with funny videos, pics, articles, and a whole bunch of other funny stuff. Receive up to $100+ per article. InfoBarrel – InfoBarrel is a social writing platform where writers from around the world come together to create media content. Currently, the revenue share model is based upon three programs; Google AdSense, Chitika and Amazon Associates. 75% of the time the publishers affiliate codes will be displayed and the other 25% the InfoBarrel codes are displayed. AdSense revenue share ranges from 75% to 90%. Postloop: Make money by sharing informative articles and forum posts. Seekyt – Make money writing original, reader-friendly articles. 70% revenue share via AdSense and Amazon. SheToldMe – Social bookmarking site with a 100% AdSense Revenue Sharing program. Create a Google AdSense Account and keep 80% of your article’s earnings. Squidoo – Free site for creating single webpages on your interests and recommendations. The better the pages do the more money you earn. TipDrop – TipDrop is a place where people come to give and receive tips on just about anything. 75% revenue share via AdSense. Weblogs, Inc. – Weblogs, Inc. is a blog network of about 90 blogs, covering a variety of subjects. You are paid per post that you write. WordFirm – Managed Editing provides editorial services—mainly copyediting and proofreading—for nonprofits, government agencies, publishers, and others. You may include self-serving links, including affiliate links. Say you don’t have a blog, and don’t want to join in an ad revenue sharing agreement, you can get paid a flat rate to write articles. Personally I have hired nearly a dozen writers to write articles for me and paid thousands of dollars to freelance writers. There is definitely a huge demand for it although there is a lot of competition. I will not go into details on how best to become a freelance writer, as there are more experienced people to tell you that, however I do believe at least one aspect of it is building up a reputation. 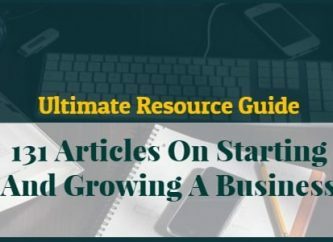 Some of these sites can help you get start. Associated Content – Submit your content and get paid relative to the views it gets. Demand Media – Application based freelance writing site that reportedly pays up to $15 per article. 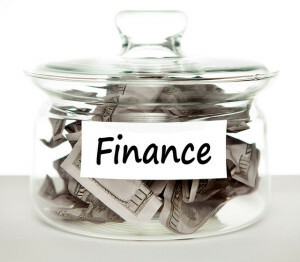 Fool – Write financial stories and get paid to do so. 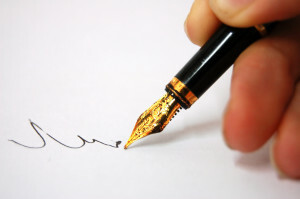 London Brokers – You don’t have to be a professional writer but a native English speaker. Mashable – Mashable hires freelancers for a variety of categories. Need An Article – An Article Writing Service that provides, SEO writing, business writing, technical articles, creative writing and more. Seeking Alpha – Write articles for them and get paid to do so. Writers Domain – Looking for highly skilled and qualified writers to compose blogs on various topics. If you have a product, there is probably a platform through which you can sell it. If you don’t have a product, there are many products that other people have that you can sell for a commission (known as affiliate marketing). Either way, don’t discount your assets as a viable means to make a sale. 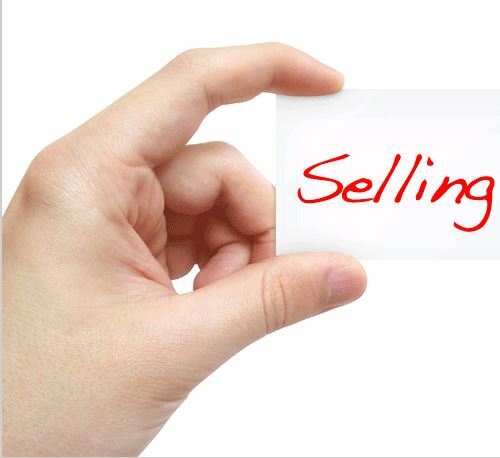 While the concept of selling a product that is not yours might seem strange at first it is actually quite common. Many companies will allow this because it allows them to reach an audience that they otherwise would not. It is like hiring a bunch of sales representatives on commission. Here are some affiliate marketing programs that combine lots of different affiliate offers. In addition, if you have a product or website in mind you can simply search “website affiliate program” and if it has one chances are it will come up. Amazon Affiliate Program – One of the most popular affiliate networks due to the breadth of products you can market. Pays generally between 4-6%, higher payout for more sales. Best part is you get paid for whatever someone ends up buying after they click on your link, even if it’s not the product that you advertised. Avangate – Leading cloud commerce provider for online software businesses and cloud companies looking to grow their digital revenues. Sell popular computer software titles. Clickbank – ClickBank is a privately held online marketplace for digital information products. It aims to serve as a connection between digital content creators and affiliate marketers, who then promote them to consumers. It is extremely popular. ClixGalore – An affiliate marketing network that allows you to easily build and start your own ‘sale – CPA’, ‘lead – CPL’, or ‘click – CPC’ based affiliate program. Commission Junction – An online advertising and internet marketing company that specializes in affiliate, media and tracking services. There more than 1000 companies available to choose from. DigiResults – Similar to Clickbank. EBay Partner Network Earn money with the eBay Partner Network by driving traffic to eBay or one of their partners. E-Junkie – E-junkie provides shopping cart and buy now buttons to let you sell downloads and tangible goods on your website, eBay, MySpace, Google Base, CraigsList etc. Forex-Affiliate – Forex Affiliate is one of the longest running and most successful financial affiliate programs worldwide. FlippaLeadPile – Affiliate network that allows you to generate and sell trade leads to the highest bidder. LinkConnector – Affiliate marketing network. LinkShare – Pays commissions for every product you lead and promote. Market Leverage – Market Leverage is an internet affiliate marketing network. MaxBounty -A unique CPA network providing weekly payments, as well as a $1000 performance bonus to new affiliates. Neverblue.com Specializes in lead generation, client acquisition and mobile advertising, and provides tools like banner rotators and api to promote products. Offer Vault – Find affiliate programs, affiliate networks and affiliate marketing resources. ShareASale – ShareASale is an affiliate marketing network similar to clickbank and commission junction. TopOffers – A fast-growing affiliate network that was focused on dating affiliate programs but now expanding to new areas and niches. It should come as no surprise that if you own a product, you can sell it. What might be a surprise is just how many things you can sell. For example, a few years back my mother started making seaglass jewelry. She started trying to sell her pieces on Ebay and Etsy and was experiencing success. A few years later and she is consistently making over a grand a month on average. It is definitely possible to transition a hobby into a business, you just have to find the right marketplace. There are many large marketplaces from which you can sell a wide range of products. Amazon – Online retailer of books, movies, music and games along with electronics, toys, apparel, sports, tools, groceries and general home and garden items. In addition you can sell back or trade in items you own to Amazon and receive Amazon gift card credit. Craigslist – Craigslist is a classified advertisements website with sections devoted to jobs, housing, personals, for sale, items wanted, services, community, gigs, résumés, and discussion forums. eBay – Buy and sell electronics, cars, fashion apparel, collectibles, sporting goods, digital cameras, baby items, coupons, and everything else on eBay. BigCommerce – makes it easy to create a beautiful online store and sell your products to eager customers. If you’re thinking of trying this out, check out this BigCommerce review to know more. While Etsy takes the cake as the premier marketplace for arts and crafts, there are many other websites that are similar. See below resources for a link to 125 such websites. Aftcra – a new marketplace where you can buy and sell American handmade goods. ArtFire – The ArtFire marketplace is home to artisan goods of all kinds. From handmade jewelry and crafts, to vintage clothing and supplies. Big Cartel – Simple shopping cart for clothing and tee designers, bands, record labels, jewelry makers, crafters, and other artists. Bonanza – Vibrant collection of fashion, collectibles, decor, and more. Dawanda – Marketplace for gifts and handmade products. Perfect for unusual gift ideas, unique products and handmade things. Etsy – Buy and sell handmade or vintage items, art and supplies. Folsky – Buy and sell beautiful handmade gifts and crafts supplies. Lilyshop – New online marketplace for handmade creations created by women for women. Luulla – Luulla is a marketplace to find and sell various creative objects. Not On The High Street – Hundreds of unique shops. Storenavy – Allows you to open your own store for free. Uncommon Goods – Great for cool and unusual gifts for any occasion. Zibbet – Buy and sell handmade goods, fine art, vintage items and crafting supplies on Zibbet. Did you know that you can sell your music? Don’t get too caught up on physical products – you’re working online now and you can sell just about anything of value. Band Camp – Sell your music! Bandcamp takes a 15% cut of sales made from their website. CD Baby – CD Baby has over 3 million tracks for you to browse, listen, and buy. Indaba Music – Web-based company that provides a music collaboration environment for musicians: “a place to build a profile, promote their tunes and collaborate with other musicians” as well as enter opportunities like remixing and songwriting contests with popular artists. sellfy – Sell digital downloads – ebooks, music, videos or anything else you create. No setup fees, no storage & bandwidth limits. Sell with PayPal, Stripe & Paymill. Slice The Pie – Helps undiscovered artists, as well as helping music fans find some great. Song Cast Music – SongCast offers a streamlined and affordable music distribution service where artists and labels can release music into major digital stores. Tune Core – Sell your own music on iTunes, Spotify, eMusic, AmazonMP3, Google Play etc. Keep all your rights and get 100% of the royalties. Similarly to music, if you can create great videos you can sell them. ClipCanvas – Stock video marketplace offering a searchable collection of HD stock footage in all categories. Cruxy – Video, music, photo Art portal. 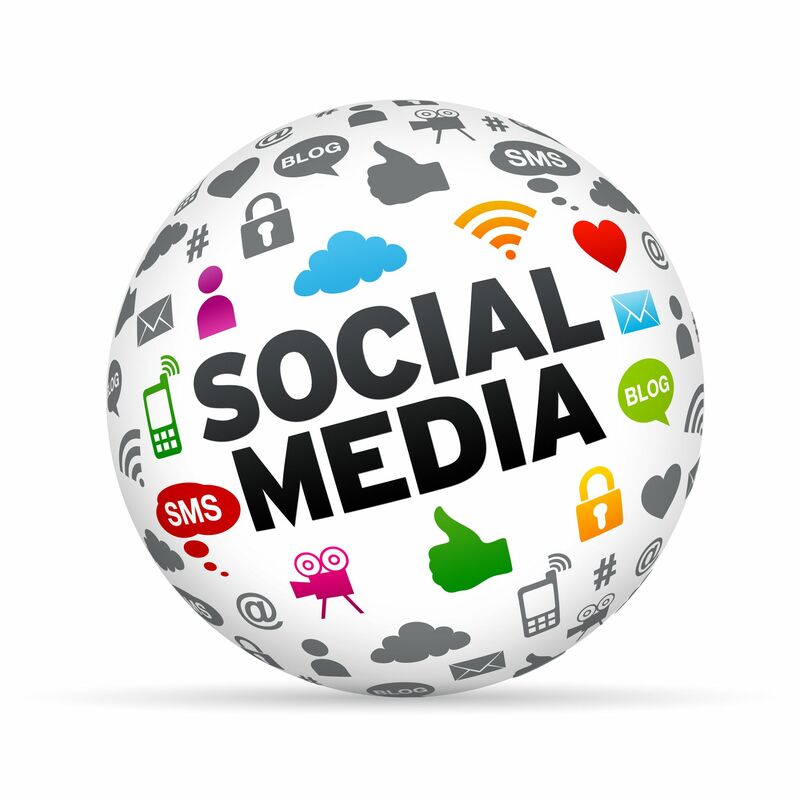 Specializes in social video, but serves as a venue to sell your digital media. iStockphoto – Royalty free stock photos, vector art illustrations, stock footage and audio for print and use on websites and presentations. MetaCafe – One of the world’s largest video sites, serving the best videos, funniest movies and clips. Upload your videos and earn money based on the number of views you receive. Minibites – Diverse content from song lyrics and WAV files to personal pages and relationship issues. Pond5 – Open marketplace for buyers and sellers of royalty-free clips in all categories. Shutterstock – Sell photos, vectors, illustrations or videos. Vimeo – Community for storing and distributing video content. Includes advanced privacy options, interaction for members with common interests, group projects, and more. Like videos and music this is a highly competitive market but if you are skilled there are a number of venues on which you can sell your photography. 123RoyaltyFree – Search and download from millions of HD stock photos, royalty free images, cliparts, vectors and illustrations. You get 50% of each image sold and you also can earn 15% of your referral’s subscription or purchase plus 10% of every image sold by a photographer you refer. BigStockPhoto – Find millions of quality images, illustrations, vectors and stock photography. Usually $0.30 to $3 for every image of yours sold. Crestock – Crestock offers high quality royalty-free stock photos, illustrations and vector images at low prices. 20% commission on pictures with prices between $5 to $15. Your commission goes up to 30% after your first 100 sales. DreamsTime – The largest collection of FREE and commercial stock photos and images anywhere. You can get 50 to 80% from each image sold. Fotolia – More than 20 million cheap royalty free images, vectors, videos. 50% for each picture downloaded. iStockPhoto – Royalty free stock photos, vector art illustrations, stock footage and audio for print and use on websites and presentations. You get 20% of the total price for images between $1 to $20, and 40% if you sell your images only on their site. PhotoStockPlus – Sell photos and keep 85% of the profit. ShutterPoint – Stock photo site that gives you 85% of the total sale. ShutterStock – Sell photos, vectors, illustrations or videos. You are paid 25 cents for every image of yours downloaded. Refer other photographers and earn 3 cents per photo sold by them. StockXpert – Place to buy and sell stock images! You can earn $50 if you offer your image with an extended license. Otherwise, you earn 50% of each sale. If you own a website that is up and running, you can sell it on one of these market places. Really, a website is just like online real estate. You own a plot of land in the World Wide Web. What you do with it can increase or decrease its asset value. The more money it makes, the more valuable it is. I have seen websites sell for 6 figures many times. The beautiful part of it is that people generally pay between 10 and 20 times the monthly profit, so if you have a website that is bringing in a bit of cash you can potentially sell it for a pretty penny. Here are some market places for buying and selling websites. Buy Sell Website – Search hundreds of websites for sale.Buy or sell websites and domain names. Deal Site – DealASite.com is free for both buyers and sellers to buy and sell websites. EmpireFlippers – Empire Flippers has websites for sale, letting you buy websites and offer sites for sale online. Flippa – Buy & sell websites, domains, and apps. I have personally bought on Flippa over a dozen times and in many cases it has been successful. Yes, even if you just own a domain name you can sell it. In fact, some domain names have sold for tens of thousands of dollars due to their high demand/relevancy (think like websites.com). Some people even make a business (albeit it an annoying one) out of “squatting”; buying up domains and trying to sell them later to interested parties. I heard once that someone, anticipating the growth of Starbucks, went and bought up starbucks.com in other countries (i.e starbucks.ru) and probably made a pretty penny doing so. Afternic – Afternic is a one-stop site to buy domains, sell domains, and park domains. Takes 10% – 20% commission. Bido – Domain sales. You will be notified when they respond. If an agreement is reached, you’ll be instructed to make your payment. Bido will assist with the transaction and transfer. Takes an 8% commission. GoDaddy Premium Listings – Sell your domain name in the Premium Domain Names section of the domain search page. Takes a 30% commission. Pool.com – Leading provider of premium, dropped and backordered domains. Takes a 10% commission. Sedo – Buy and sell domains and websites with Sedo.com. Takes a 10% commission. SnapNames – Buy Domains even if they are already registered or sell domains names. Takes a 20% commission. In this example we will explore baseball cards but you can replace this with any collectible and there is likely a specialty marketplace for it outside of ebay/craigslist. Remember, anything you own can be an asset if it has value to someone else! 707 Sportscards – One of the largest buyers and sellers of old baseball cards, PSA Graded Cards, and Allstate Display Cases.Baseball Card Exchange – Baseball Card Exchange. BaseballCardBuyer.com – Baseball card buyer with 30 years’ experience is now buying vintage (pre-1970) sports cards at top prices. Kit Young –Buying: All sports, modern and vintage. Kurtz Kards – Full time baseball card dealer since 1996. Portland Sports Card Co. – Buys and sells vintage baseball cards, football cards, basketball cards, hockey cards, sports collectibles, graded sports cards, and more. Tim’s Baseball Card Shop – Buying and selling baseball cards, basketball cards, football cards, baseball card sets, football card sets, hockey card sets, and baseball cards. If you have an old iphone, laptop, or any other hardware there are lots of sites where you can sell your old gadgets to. In many cases large retail stores like Best Buy and Sam’s Club have exchange programs. It’s great exploring these options because you can see how much an asset is worth even if it is used. In this sense you can look at everything you purchase as coming at somewhat of a discount. For example, if you buy a phone for $100 but are savvy enough to know that you can trade it in for $20 a few years later, it is like getting it for only $80. Best Buy – Well known retailer who also buys second hand. Costo – The online store for the national retailer of brand name products, from computers and clothing to gardening and gourmet food. Gazelle – Get cash for used cell phones and electronics. Sell your iPhone, Samsung Galaxy, iPad, Apple computers and more. They even pay the shipping cost for you to ship the product to them. Itemcycle – Get cash for your iPhone, iPad, MacBook, and more. They pay for shipping and give you the option to donate your money to a charity of your choice. O2 Recycle – Recycle your gadget for cash. Preloved – Turn clutter into cash by selling on Preloved. OK, this is more of a lesson in getting creative. You have to think outside of the box. What do you have rights to that someone might value enough to pay for? This might be extreme but I think it shows you the limits of just what you can sell online. Demonical – Sell your soul for $5 or auction it off to the highest bidder. There are platforms out there that allow you to design a product (think t-shirts, mugs, books, etc) and sell it through their website. This allows you to bypass the upfront cost of having to create and store the product as well as leverage the existing audience the website has. It is great especially if you want to test an idea and establish whether or not there exists a market. 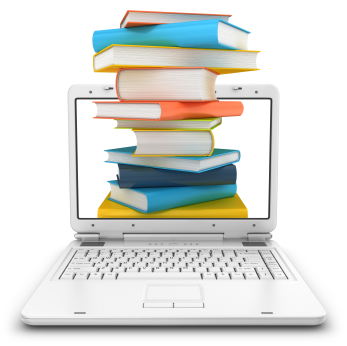 Blurb – Create and publish bookstore-quality books with free software for PC or Mac. Then sell your book in the Blurb bookstore. Cafe Press – Design products like t-shirts, etc. and sell them through the Cafe Press virtual store. ImageKind – Buy prints, posters canvas and framed wall art from various artists. PikiStore – Pikistore lets you create your own tshirt store and will print the shirts. Ponoko – Laser cutting & 3D printing made easy. Buy, sell & create custom products. ShapeWays – 3D printing marketplace and community. Shirt City – Create a personalized t-shirt online with your custom slogan or design. Skreend – Print your own custom designed t-shirts with Skreened. SpoonFlower – Design, print and sell custom fabric, wallpaper, gift wrap & decals on-demand. Spreadshirt – Create custom t-shirts, personalized shirts and other customized apparel at Spreadshirt. Print your own shirt with custom text, designs or photos. Like E-Shirt but you can also sell other designer’s stuff. Taste Book – Upload your favorite recipes from 2013 and create a custom cookbook today. The Game Crafter – The Game Crafter offers game designers an easy-to-use system to make a board game, card game, or custom playing cards. Free templates, instructions, and videos. Apps are all the rage. If you have any sort of programming ability coding up an app and selling it can be a source of income. If you don’t have coding experience, it does not mean that you cannot hire a developer and work with him or her to create your app. Apps often sell for very cheap, only a few dollars, but they appeal to a wide audience of millions of smart phone users. appbackr – App developers around the world use their predictive analytical ranking system to get their appscore. Higher scoring apps have more opportunities. appsplit – Appsplit is the Crowdsourcing Platform for Apps. Allows you to raise funds for your apps. apptopia – Allows you to buy and sell apps. bluecloudsolutions – USA based internet marketing company specializing in iPhone apps, creative business models, and explosive marketing strategies. sellmyapp – Sell your iphone apps. artlondon.com – Buy, sell, or browse contemporary fine art online. artmajeur.com – Buy and sell art online. artnet.com – Browse all original artworks for sale by style, medium, price, and era live on artnet Auctions. Use the advanced search options to buy or sell art. artweb.com – Sell your art online. Allows you to sell your paintings, jewelry, prints and artwork simply cheaply and easily. arts-mart.com – Sell you art online. art-exchange.com – Sell your art online. mybestcanvas.com – MBC is an online art gallery from where you can sell or buy original paintings for sale. redraggallery.co.uk – Sell your art and paintings online. zatista.com – Online art gallery. Many people want things temporarily and therefore are not in the market to buy, but to rent. If you own space for example, you can rent it. Many people rent out spare rooms, apartments, etc. I even know people who rent out their only apartment (and crash at their girlfriend’s place if someone rents it). 9Flats – On 9flats.com you can find vacation rentals, apartments and guest houses, owned by friendly locals across the world. Airbnb – Find both short and long term apartment or room rentals. Easy Room Mate – Flatshare site. Rent My Items – Rent out those unused household items… and earn some money. Rentalo – Global directory of vacation rentals, hotels, bed and Breakfasts, vacation homes, condos, villas, cabins, chalets, lodgings, furnished accommodations. Roomoramma – Roomorama is a booking site that provides a platform for individuals and property managers to rent unoccupied living spaces and other short-term lodging to guests. Storemates – Find the cheapest storage space in your community with Storemates. Earn money through renting out your extra space at Storemates. Wimbdu – Wimdu is a web-based platform, based on the peer-to-peer property rental model, that advertises properties on the internet for short term lettings. Social media is becoming more and more attractive to advertisers. If you have a large social following then there are people who are willing to pay you for a moment of your audience’s time, and it’s not JUST Facebook anymore. There’s stuff for all different kinds of social media platforms. AdFly – Earn money for each visitor to your shortened links with adf.ly! Use a URL shortener service that pays. PaidPerTweet.com – You can set your price to Tweet website links, press releases, products promos, services, and companies to help companies gain exposure. Revtwt – Twitter marketing platform. Of course a lot of finance is conducted primarily online, however, one should approach this with an added degree of caution, since this is one of the few parts of this post where you can actually lose money by attempting it. This is a relatively new concept where people fund loans for other people, essentially cutting out the bank. I’ve experimented with this a bit myself without much success, though I have seen reports from other trustworthy people who are showcasing 5%+ returns on their loans. 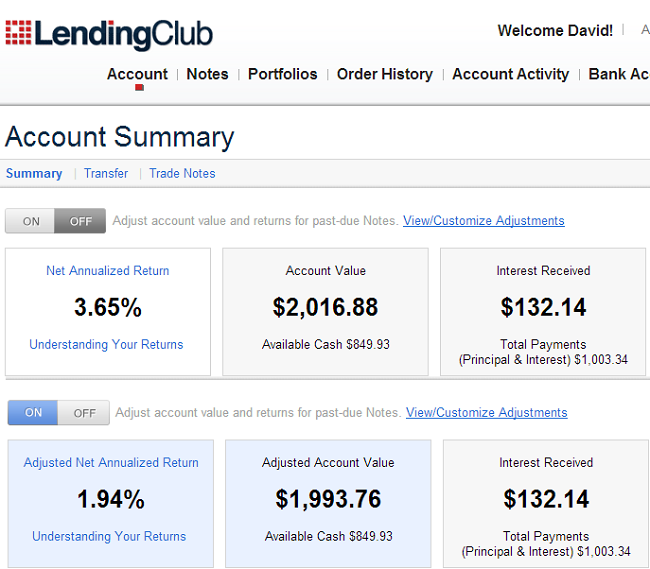 Lending Club – (U.S. Residents Only) Peer to peer lending, which starts in increments $25. I have used lending club myself and frankly have not seen exciting returns (currently around 2%) on account of a few defaults on several loans. I also feel that in order to properly diversify (spread out over a bunch of different loans) it takes a fair amount of time to research the loans and find the right ones for your strategy. I started with $2k and it now shows $2016 after 6+ months. But if you consider payments past due as future bad loans, I’ve actually lost money. Prosper – Operates slightly differently from Lending Club in that I believe you bid on loans. If you want to throw your hat into the ring and try day trading, there are many brokers out there. E*TRADE – Online discount stock brokerage service for self-directed investors. Fidelity – Another broker I use. Interactive Brokers – One of my personal brokers, only $1 commissions on trades. Scottrade – Offers a wide range of brokerage and banking services. Sharebuilder – Buy stocks, mutual funds and ETFs with low commissions and no minimum required. TD Ameritrade – Broker for online stock trading, long-term investing, and retirement planning. Trade King – TradeKing is an online broker providing tools and research for online trading of stocks, options, bonds and more. Banks are always trying to offer incentives to get you to switch over to them. If you are willing to go through the hassle (which, nowadays is not so much of a hassle), you can be nicely rewarded. Check out this article on how you can earn between 100-200 pounds simply by switching banks. Similarly many credit cards have sign up bonuses that can be worth hundreds of dollars. Do read the fine print though as some of these require specific actions (like spending $X in Y months). Others have annual fees. Still I have easily received over $1k in value simply by signing up at the right time and following through. Here are a few of the best ones right now. My Lost Account – If you’re located in the UK and might have lost/forgotten about an account, why not check? Earlier I talked about Freelance Writing. In reality, writing is only one of the many skills that people can freelance. For example, I have hired programmers, graphic designers, SEO consultants, writers and many more different kinds of freelancers off some of the sites mentioned here. What would you do for $5? On these websites you can offer a wide range of services as long as you only charge the specified amount. It does often allow you to try for an upsell. Fiverr – The place for people to share things they’re willing to do for $5. Jobs for 10 – Gigs site $10 price point. TenBux – Gigs site with $5 or $10 price point. There are just so many communities where freelancers can showcase their skills – this barely scratches the service. My personal favorites are eLance and oDesk. Amazon Mechanical Turk – The online market place for work. Businesses and developers have access to an on-demand scalable workforce. Workers can work at home and complete simple tasks. Guru – Find 400000+ freelance programmers, web developers, graphic designers, writers and more for hire. Outsource your projects today. iFreelance – Find freelance jobs. Microworkers – Crowdsource your Micro Jobs to more than 500,000 workers worldwide. Upwork – Find freelancers and freelance jobs on oDesk – the world’s largest online workplace where savvy businesses and professional freelancers go to work. I have used oDesk and find it similar to eLance. PeoplePerHour – Standard freelancing site. Don’t confuse this with getting paid to send emails. This is more marketing through your email list. This is a very popular way for bloggers/websites with large followings to engage, and frankly, make money off permission marketing. Here are some services to help you build and manage a list. Aweber – With the best delivery in the business, AWeber gets your email newsletter where it needs to go. I use this for my personal newsletter. Getresponse – Send email newsletters, campaigns, online surveys and auto responders. iContact – An international online service provider of email marketing and social media marketing to small, mid-sized, and premier businesses. Inuvo – Inuvo Inc. is an internet marketing and technology company that delivers targeted advertisements into websites and applications reaching desktop and mobile devices. MailChimp – Send 12,000 e-mails per month to up to 2,000 subscribers for free. Send Free – SendFree lets you grow, maintain and deliver email campaigns to big email lists. Stream Send – Email marketing service. Supersponders – Free and paid automatic autoresponder service. Topica – Email marketing service. If you have any sort of expertise you can potentially use that skill to help others…and they just might pay you for it. This is exactly what it sounds like – get paid to read emails. InboxPays – Get paid to read emails, play games, complete surveys and more. SendEarnings – Similar to InboxDollars. 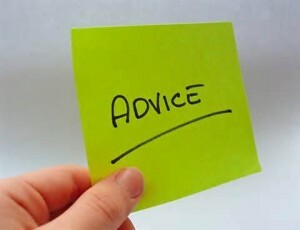 Fun Advice – Forum offering humorous advice on life and relationships. Earn points for answering questions, which get converted to dollars. myLot – An enormous discussion board, blogging community, questions and answers hub, social network and online hangout all wrapped up into one. Pays you for posting, commenting and using their social network. BitWine – Get paid to give advice and answer questions for people, on subjects of your interests and choice. Ether – Ether enables anyone with something valuable to say to sell their services. You get a free Ether phone number (forwarded to an actual phone), you set your rate, and you can schedule times that you’re willing to accept calls. JustAnswer – Name your price and get customized answers from experts. Questions are priced anywhere form from $5 up to $25 or more. If your answer is accepted, the money is credited to your account, where you can cash out via PayPal once you reach $20. Jyve – Pays you to provide answers, advice and peer support to people in need of help. Keen – Earn money being a Psychic. kgb – Get paid for answering questions that people send by text message. Tutor.com – Provides on demand homework help and tutoring services that connect students to a professional tutor online in math, science, social studies or English. There are tons of companies that are interested in getting the opinion of customers for their business, product, website or service. Some of these may require you to appear in person. In most cases though they are going to want you to test out their product and then provide feedback on it. In some instances you might even get to keep the product. We all like things, but what we like even more are things we don’t have to pay for. How about testing products and getting paid to do so? Bzz Agent – Sample products, spread word of mouth and have fun. Expo panel – Your honest opinion will help unlock some of the newest products before they’re even sold in stores. Influenster – An exclusive community for trendsetters to share news,products, and reviews with the opportunity to be rewarded by brands. Mom’s Meet – Empowering moms to come together in an informal setting and talk about the latest on raising healthy families and living green. Smiley 360 – Be the first to try exclusive new products, experiences and offers. Share your thoughts to earn status, smiles, rewards and more! Swaggable – a platform for users to try new products that they are interested in! If you like to listen to music there are companies out there who are interested in hearing your opinions. Basically another form of consumer research. Music Research – Music Research is recognized as the first full-service marketing research organization devoted exclusively to the study of popular music and consumers. MusicXRay – Listen, rate, and get paid. Every boy’s dream – getting paid to play video games. gamesville.com – Play games, compete to win prizes, and chat live with other players from around the world. game-testers.net – Make money playing new games. Earn from $50 to $150 per hour. paidgameplayer.com – Play games online now. Team Liquid – Team Liquid is a community site focused on StarCraft 2 and Dota 2. They have a live streaming area where people can play games while others watch. I have seen people with very large followings show ads and make money. worldwinner.com – Play free online games or compete for cash. 2020Panel – Get invited to an online focus group. They also conduct normal online surveys. Google User Research – Participate in user research studies. Perhaps not the most interesting way to make money BUT everyone with a brain and an opinion can do it! Important note: Do not pay to sign up for a site that offers to pay you for surveys. Cashcrate – Get paid for taking surveys and performing other tasks. 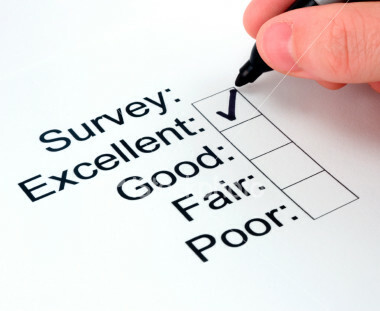 Clear Voice Surveys – Get paid to take real surveys from market research companies. Gifthulk – Be rewarded with real-world prizes for your daily online activities at GiftHulk. Watch videos, complete surveys, search, play games and much more. GlobalTestMarket – Get paid for taking surveys. Sends lots of survey invites, although you only qualify for 20-30% of them. You can cash out once you have accumulated $50. Opinion Outpost – Paid online survey community. Permission Research – Internet market research company. Pinecone Research – Internet market research company. QuickRewards Rewards you for taking surveys, shopping online, and reading emails. Survey Spot – Tell researchers what you think of their products and services or give your opinions on the issues of the day. Offers prizes and rewards for participation. SurveySavvy – Get paid for taking surveys. Test Spin – Register with TestSpin to test new products, music, and you’ll be eligible to earn up to $600 in free gift cards from Amazon.com by taking paid surveys. Many businesses are interested in being “mystery shopped” which essentially means you are pretending to be a legitimate customer. I’ve done this before and it works great in the hospitality field such as by writing restaurant reviews. Often you have to go to the site and perform some tasks (for example sit down and order a meal). Later when you return you fill out a survey (did the waiter say hello, that sort of thing) as well as a quick write up. Payment often includes the cost of the meal AND a set wage per project (varies but could easily be $25-$50 and potentially more). It’s great if it is a place you are already interested in going to, like a restaurant, since the budgets for meals can be pretty high. The only catch is that with many of the companies you have to be at least 24. ICCDS – Mystery shopping company. Intelli Shop – IntelliShop is a mystery shopping company. Mystery Shoppers, Inc –Evaluates customer service and quality control. Second To None – Empowers brands to deliver optimal customer experiences. Shoppers, Inc – Mystery shopping, customer surveys and customer service training. Spies in Disguise – Mystery shopping company. 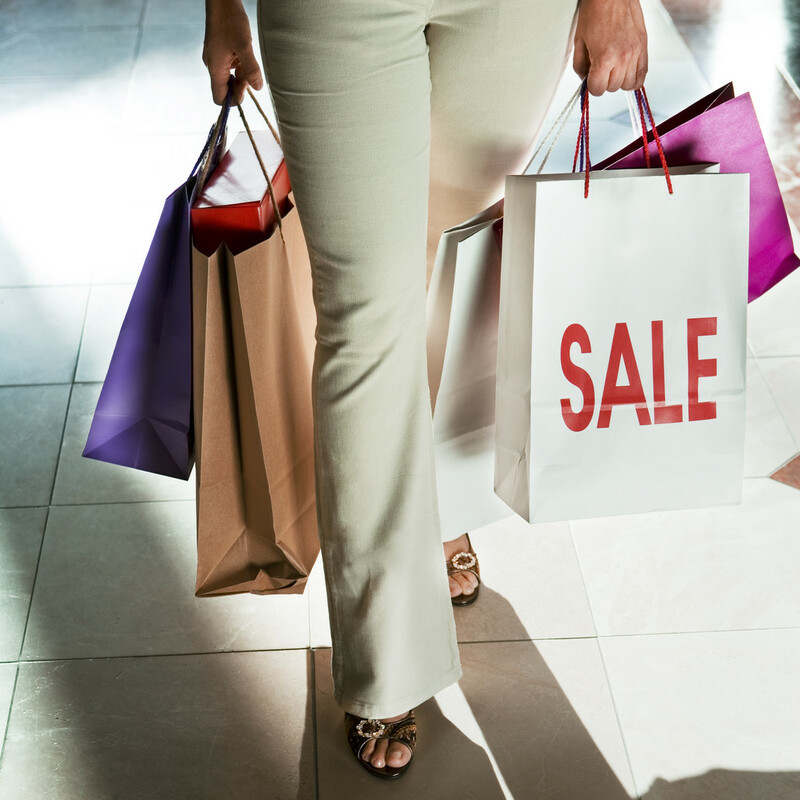 Rentrak Mystery Shopping – Our mystery shoppers visit a large cross-section of retail locations across the United States and Canada to conduct transactions of varying types. Ritter Associates – Offers mystery shopping services including, compliance audits, customer intercept surveys, point of purchase installations and more. So many websites could benefit from this – how do users view a website? Analysia – Test your website usability by real users and test the performance of your site. Userlytics – Sign as a participant and start earning money. UserTesting – Usability testing has never been easier. UserTesting’s online usability testing is the fastest, cheapest way to find out why visitors leave your website. Whatusersdo – Get paid to give feedback on clients’ websites. Youeye – Participate in online usability studies. If you have ears, a voice, or can speak another language – there are people interested in your skills. Quicktate – Create audio notes by dictating into your favorite Evernote app or by calling (888) 222-NOTE and Quicktate will accurately convert your audio. They pay 1/4 to 1/2 cent per word depending on the audio type (General or Medical). Scribie – Fast growing online audio transcription service. Pays $1 per 6 minutes of audio transcription. SpeechInk – SpeechInk offers you the opportunity to earn money doing audio transcription jobs in your spare time. Transcription is done through Amazon’s Mechanical Turk. Lingosaur – Get an instant quote for your translation job, order in seconds. Translate to/from Finnish, English, Swedish and Russian among many other languages. ProZ.com – Get paid for translations. 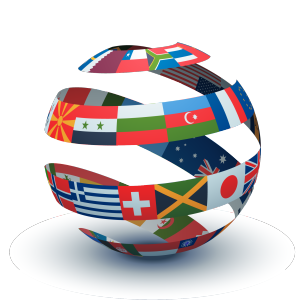 TRADUguide –Translation buyers can quickly ask for price quotes from translation service. 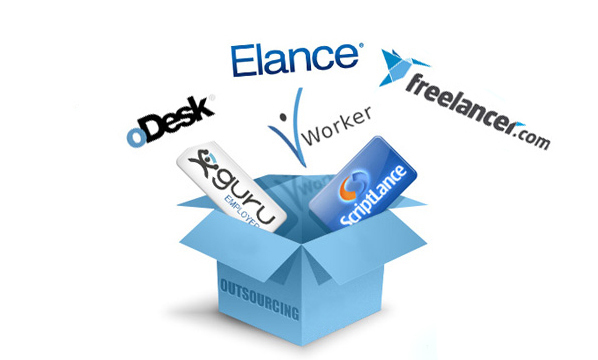 Translatorsbase – The leading source of online translation jobs for freelance translators. 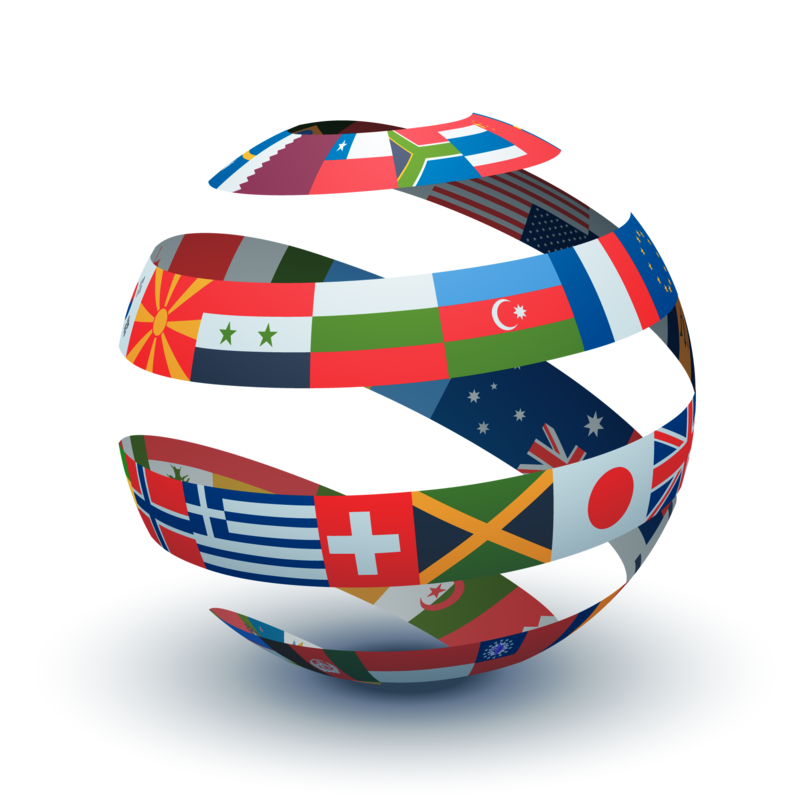 Outsourcers can post a project and obtain free quotes for translations. TranslatorsCafe – Free database of over 1300 translation agencies and freelance translators. Translators Town – Directory of translators and translation jobs. Covering over 130 languages. Translator | Gengo – Become a Gengo translator and gain access to translation jobs giving you flexible income and the opportunity to improve your skills. Sign up for free. Arise – Provide customer service (phone, web and email support and sales for 40+ companies in their network) and get paid! WorkingSOL – Get paid to handle tech support for a large corporation. If you like shopping there are many websites and apps that can be used to get cash back on a variety of goods. This is sort of the evolution of coupons. It can be fantastic if you are already in the market to buy something – just don’t go overboard and buy lots of junk you don’t need. There are a ton of apps that you can use in combination with your shopping, or simply walking around town, which can help you make money. Apptrailers – Watch videos and download apps. You can change it to gift cards or convert into cash and deposit into PayPal. It works for both iPhone and Android. Checkpoints – Scanning items, checking in at different stores, playing games, or completing offers. Points can be redeemed for discounts, gift cards, or products. EasyShift – App for iPhone users. Earn cash exploring their city and taking pictures. Field Agent – App for iphone users. Scan barcodes, mystery shop, check prices, take polls, explore neighborhoods, and more. Work done can be exchanged for between $3 and $12 as wage for each task. Gigwalk – Find & fix problems at retail. Uncover common compliance issues like out-of-stocks, low inventory, missing shelf tags, and more. Shopkick – The first mobile app that gives you rewards and offers simply for walking into stores. You can collect kicks and bonuses at nearly all places that could be redeemable for gift cards or store discounts. The app works on both iPhone and Android. eBates – You get cash back at any of 1,700 stores any time you start your shopping trip at Ebates.com. There are no points to redeem, no forms to mail in, and no fees. Over 2,000 stores to choose from including Walmart, Sears, Target, and many others. Mr. Rebates – Sign up to be a member of Mr. Rebates (similar to ebates). You’ll start with a $5.00 registration bonus. MyPoints – Every time you make a purchase through MyPoints, you earn rewards Points. These can be used towards hundreds of incentives from their reward catalogue. Topcashback – Get cashback from a larger number of shops and online retailers. Raising money might not be the same as making money, but in a sense money is coming your way to fund an idea and in that sense it should be included. Just about any idea you have can function as a crowdfunding option if you find the right site. 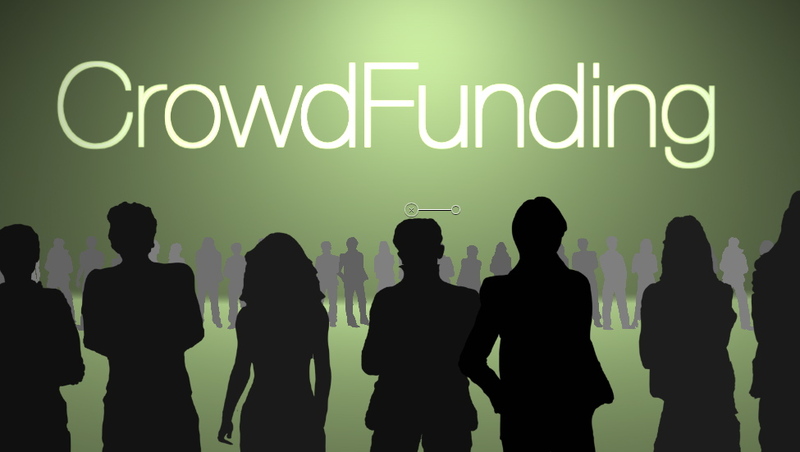 Crowdfunder – The crowdfunding platform for businesses. Crowdrise – Donation-based funding for Causes and Charity. Hyperstarter – A crowdfunding marketing and analytics tool that helps you promote your project. Indiegogo – Like Kickstarter but more lenient on who is approved. Invested.in – Software provider, giving you the tools to get started and grow your own. Kickstarter – Donation-based funding for new creative products. Quirky – A place to collaborate and crowdfund for donation-based funding. Also includes community support to bring the idea into fruition. Rockethub – Donation-based funding for a wide variety of creative projects. In addition they have programs to help you market you project. Of course there is a miscellaneous category for a few things that just didn’t fit in anywhere. eJury – Mock Jurors (you) are used to help render verdicts so attorney’s can practice before trial. Get paid $5-$10 per verdict! Opuzz Voice – Hire voice over talents here. Warrior Forum Special Offer (WSO’s) – This is a form of product marketing whereby you can leverage the audience of a forum (in this case Warrior Forum) and offer special products/services. In many ways it shares some similarities with what I mentioned before with blogging and the various ways you can monetize it. 14.1 MMO Books These are some of the top books for making money online. 14.2 MMO Forums There are many helpful forums online that you can go to to get real advice from established internet marketers and gurus. Be careful though, because as these places tend to be a gathering for newbies, many people come to prey on them by offering bogus “Make $10k a day” type product packages. Black Hat World: BlackHatWorld is a fully moderated SEO Forum dedicated to dispersing Internet Marketing techniques. Digital Point: Discussion related to search engines, including optimization, marketing, tools and other technical aspects. Warrior Forum: Very popular internet marketing forum. A lot of special offers for warrior only members (see miscellaneous). 15.3 Sources This post was possible thanks to the collaborative effort of other bloggers who wrote similar posts before me. Here are some references from which you can get more details on some of the above by going directly to the sources. 12 ways to make money – fast! If you want to truly make money online you need two things: Tools and Knowledge. There are a lot of ways(500+) to make money online. To be successful you just need to try in areas which you are passionate about or have some previous experience.